Instruction that Makes a Difference! 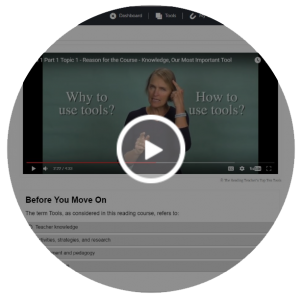 The Reading Teacher’s Top Ten Tools is an online reading course, unlike any reading course or professional development previously available to teachers. The course content is based upon a firm foundation of proven knowledge and pedagogy, research and practice that truly informs the daily work teachers do to teach their students to read. Watch this short overview video about the tools. Then click EXPLORE THE TOOLS to access descriptions and samples of each one. 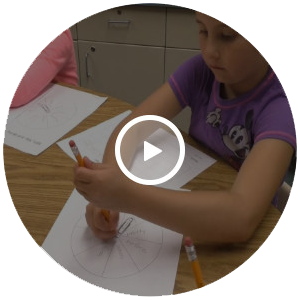 Tool 1 sets a foundation for learning in The Reading Teacher's Top Ten Tools. Teachers explore “What to teach” – discovering through conceptual models, the important skills our students need in order to be successful readers. 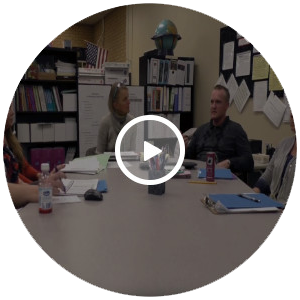 In addition, solid findings on the teaching behaviors that make a difference in our students’ learning - “How to teach”- are discussed, defined, and observed in an interactive instructional video. Knowledge is the teacher's foremost tool. 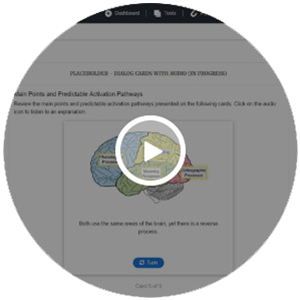 In Tool 2, teachers learn about the fundamental relationship between oral language and written language, the language activation pathways in the brain that support reading development, and methods for including language in their students’ daily world to support both language development and reading abilities. Tool 3 helps teachers understand why the phoneme is so important for meaning and for reading and presents many ways to include attention to phonemes throughout the school day. Teachers often think of phonemes as they relate to decoding and often forget that they combine to create meaning. Tool 4 explores the phonics element of reading. Teachers study the reading brain and the role of decoding in comprehension. The Tool candidly discusses the importance of teaching phonics and how to teach it so that we get strong results. Tool 5 explores vocabulary in ways that perhaps teachers have never considered before. The title, Vocabulary – The Blueprint of a Word, describes the framework for Tool 5 perfectly. Teachers will study the design of words and peer into the many rooms where words reside. There are multiple structural aspects of a word that are the basis for the overall blueprint and design of words. Tool 5 studies these structures in depth. 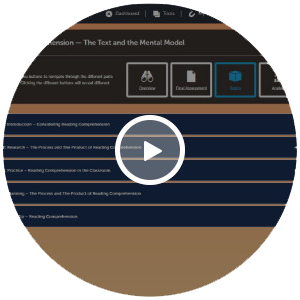 The Text and the Mental Model builds an understanding of comprehension through studying and differentiating between the process of reading comprehension and the product of reading comprehension. 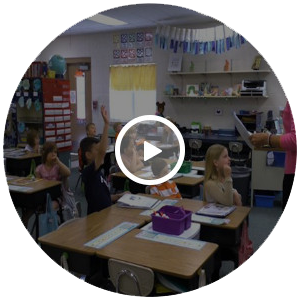 Several instructional processes are shared with teachers as they are guided to create a reading comprehension lesson using their own reading material. Teachers are led to consider both the process and product of reading comprehension in their planning. Fluency is a very important reading component. It is the automatic application of the skills it takes to read, to decode and even comprehend what we read. Teachers will learn about the strong relationships between reading fluency and other reading and language skills. They will learn how to improve reading fluency through well-planned practice activities. In this eighth module of The Reading Teacher’s Top Ten Tools, teachers build knowledge about both the underlying and higher level language skills required to write. Providing daily writing opportunities in response to reading is a main focus in this writing tool..
Aside from the pleasure of shared time together and our love of a good story, a lot of positive language development happens through the simple joy of reading a book out loud. Tool 9 explores research that outlines the significance of the read-aloud.It provides ideas for how to work this special time into the teacher’s busy, fully scheduled day and get the most out of it. Teaching as a community of teachers is the best approach for our students. Teachers don’t have to do this work alone. Putting our heads and hearts together to plan responses to identified student needs is what our students deserve – combined talents and solution-makers working together, working to develop solutions and celebrating success together. 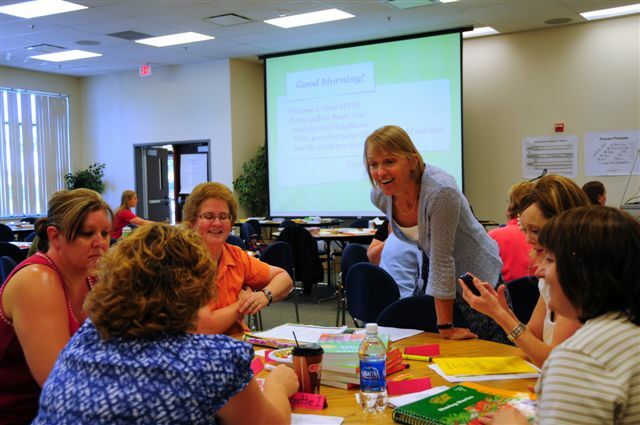 Teachers frequently respond to Dr. Deb’s trainings with positive notes and comments. Read a few of these responses and hear what the experts are saying about The Reading Teacher’s Top Ten Tools.